No one can turn down a good brunch invite. It’s the last little glimmer of the weekend and the perfect way to have fun, relax, and enjoy a good meal with friends or family all in one! Whether you are visiting Lakeland for the first time or have been living here your whole life, we want to share the best spots around town to grab some brunch. New-American cuisine that is located right downtown with great cocktails and delicious food. They’ve got everything from avocado toast to their famous breakfast bowls that are to die for. And most importantly… bottomless mimosas! The Terrace offers a classic upscale brunch menu accompanied by the sweet historic feel of our beautiful city. The food is delicious and the atmosphere is gorgeous. They have everything from a classic Eggs Benedict to their Croissant French Toast. This spot is a small, intimate fine-dining Latin restaurant. Their Sunday brunch is well-known around town and the perfect way to relax and enjoy the end of your weekend. Large outdoor covered patio with an exciting eclectic dining experience. Pair your Chicken & Waffle Sliders with a cup of coffee or a specialty cocktail or mimosa! Serving Lakeland since 1934, Reececliff is the true family diner. The diner food is altogether classic and simple- their “early morning riser” is our fave! Gorgeously renovated, this restaurant is one of our all-time favorites. The atmosphere is so casual and fun and the food is incredible. 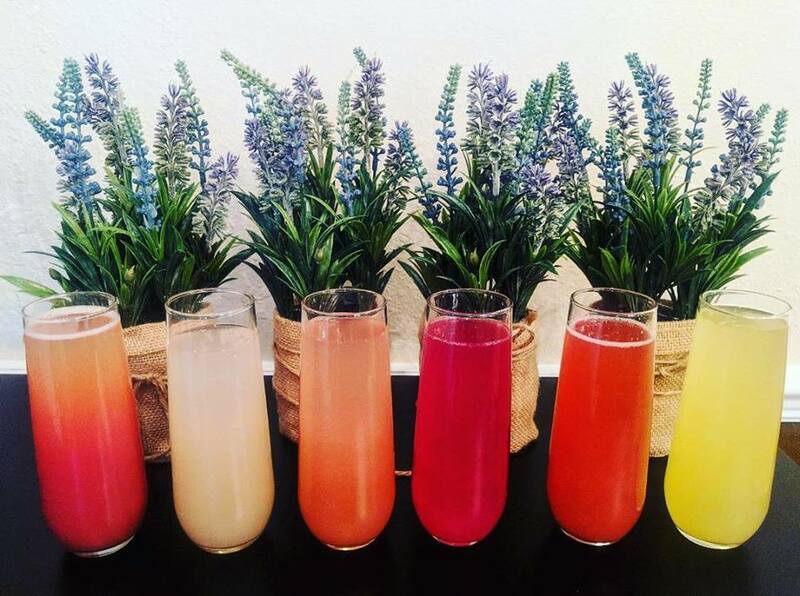 They have a build-your-own mimosa bar, need I say more? This newly renovated space is beautiful and historic, but perfect for a casual Sunday morning brunch with your friends or family. The breakfast tacos are a personal favorite and their broad drink selection is an added bonus. This one is not your stereotypical brunch spot. It is home to The Poor Porker, Bar Calexico, and Bearcat & Big 6. Since it’s opening 3 years ago, 801 continues to serve as Lakeland’s top destination for Porker Coffee, homemade beignets, live music, and a great selection of beer and wine. People from all over the city flock to this sweet spot to get their unbelievable beignets and delicious coffee for breakfast. It’s so unique and different than any other place in Lakeland. If you’ve never been, it’s definitely a must! Not many people may know this, but Grillsmith has a killer brunch! They have Smoked Salmon Toast and a Blue Crab & Shrimp Benedict… let’s just take a moment to soak that in. And of course they have Bloody Mary’s and mimosas to wash down all that goodness! Black & Brew is a favorite for many in this city. Their breakfast menu offers many different options of breakfast sandwiches (even a build-your-own sandwich option), pastries, and their delicious coffee! It’s the perfect quaint and calm environment to relax and enjoy some good food and good company. If you can’t tell, we sure do love this little town. Let us know if you have any further questions! We’re always happy to help. For more fun, local activities & attractions- visit our friends over at YLakeland. They always have the most current & best recommendations!